If you count yourself among the large group of MMA fans who determines whether or not to purchase a UFC pay-per-view on a card-by-card basis, Combat Press has you covered. Before each of the UFC’s pay-per-view events, we’ll review the main-card fights and surrounding circumstances before determining whether you should buy it yourself or save your money for beer and pizza and check it out at your local sports bar. 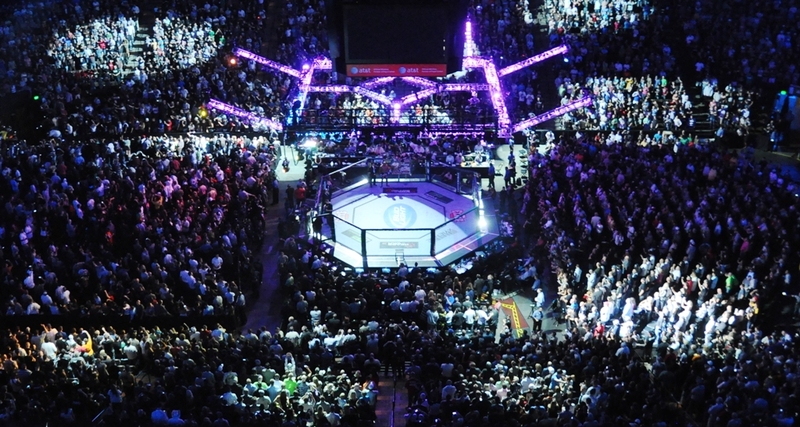 This week, we’ll tackle UFC 181, which takes place Dec. 6 in Las Vegas. If, years from now, people look back on 2014 in the UFC, they’d probably make note of a handful of positive developments. First, they’d surely notice that the company put on more shows this year (44) than in any previous year of its two-decade incorporation. Along with this, they’d probably look at the UFC’s travels to 13 countries outside the United States as further evidence of the company’s expansion. 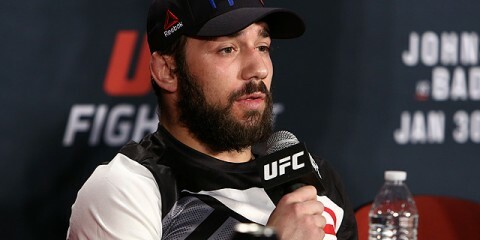 Inside the Octagon, they’d see that a new welterweight champion was crowned after longtime 170-pound king Georges St-Pierre took an indefinite leave of absence from MMA, effectively throwing open the division to a host of new contenders. And speaking of new contenders, hypothetical future observers of this year in the UFC couldn’t miss the introduction of an entirely new UFC weight class—the women’s strawweight division—to add even more exciting fighters to the company’s roster. One negative thing these folks might also notice, though, is the presence of a small number of questionable title fights from this year’s UFC pay-per-view events, and in general a degradation in the quality of the company’s $55 cards, particularly in the second half of 2014. 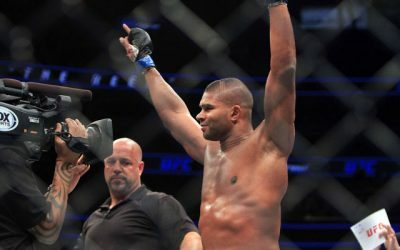 Beginning with UFC 174 in June, the UFC’s pay-per-view buy rates took a serious tumble from the averages of years past, due in no small part to the relatively unattractive nature of the fights. 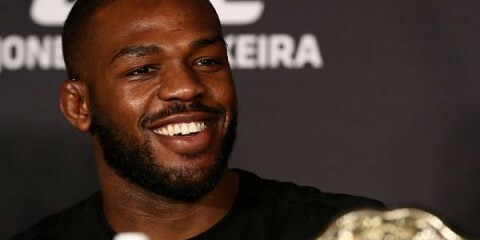 The UFC attempted to market the June pay-per-view with a flyweight title fight at the top and a welterweight contenders’ match of moderate consequence right underneath. Fans did not respond well. UFC 176 was canceled altogether after its featherweight title-fight main event was scrapped late, and UFC 177 featured a bantamweight title fight between champion T.J. Dillashaw and Joe Soto, a guy making his UFC debut who took the fight on literally a day’s notice. UFC 178’s card was, overall, probably the best of the year, but its title fight between flyweight champion Demetrious Johnson and eighth-ranked Chris Cariaso left a lot of people scratching their heads. This is certainly not to say that all, or even most of the UFC’s 2014 title-fight match-ups were less than satisfying, but there were definitely a few this year that deserved the side-eye. Fortunately, UFC 181 not only has two title fights on the main card, and not only are they between the champion and top-ranked challenger in each division, but they’re probably two of the tougher title fights to predict in quite some time. At the top of the card sits a welterweight title rematch between champion Johny Hendricks and former challenger Robbie Lawler. 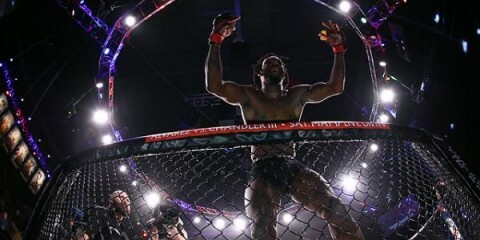 Their first fight was razor-close, with Hendricks edging a 48-47 unanimous decision victory. Fans have anticipated the rematch since the final bell, and they’ll get their wish on Saturday. MMA enthusiasts will also be treated to a lightweight championship contest between 155-pound titlist Anthony Pettis and consensus top contender Gilbert Melendez which is also heavy on intrigue. 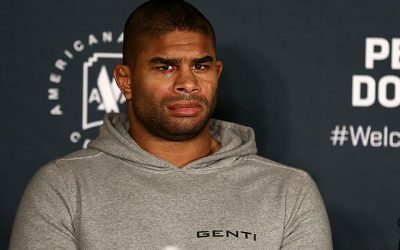 Elsewhere on the UFC 181 main card, we’ll see a top-five heavyweight battle to maintain his position near the title picture, the return of another heavyweight known to put away opponents with a quickness and a lightweight bout between two up-and-comers, both of whom are riding multi-fight winning streaks. Of the night’s two title contests, Hendricks/Lawler II is no doubt the one a majority of fans want to see the most. 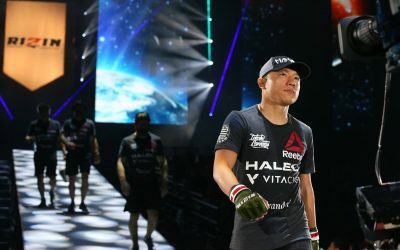 Ever since GSP abdicated his long-held welterweight throne, the division has undergone a renaissance, with a number of fighters considered legitimate title contenders and none having definitively established himself as a dominant champion. 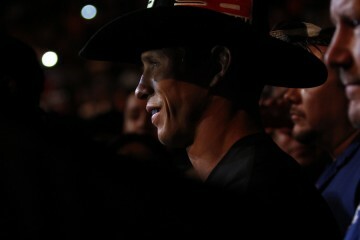 Hendricks was the first to capture the belt, but again, he did it in the closest possible way he could without losing. That is, while he did defeat Lawler in March, it’s not like he put on the sort of dominating performance we used to see from St-Pierre, and while Hendricks is favored in the odds on Saturday night, Rory MacDonald must also be thought of as a serious threat to take the belt. Tyron Woodley and Carlos Condit also wait in the wings, each probably a couple of wins away from challenging for the belt themselves. All that being said, if Hendricks can truly put the stamp on Lawler to close out UFC 181’s main card, and especially if he can get through some more of the division’s contenders, he too has the opportunity to carve out a legacy like the one of his predecessor. Of course, the next step in carving that legacy is again getting past one of the baddest SOBs in the sport today. Lawler is probably my front-runner for “Fighter of the Year” in 2014. After slugging his way back into UFC title contention in 2013—a stretch which included an impressive and unexpected decision victory over the aforementioned MacDonald—Lawler would begin the new year on a losing note in his title fight with Hendricks. 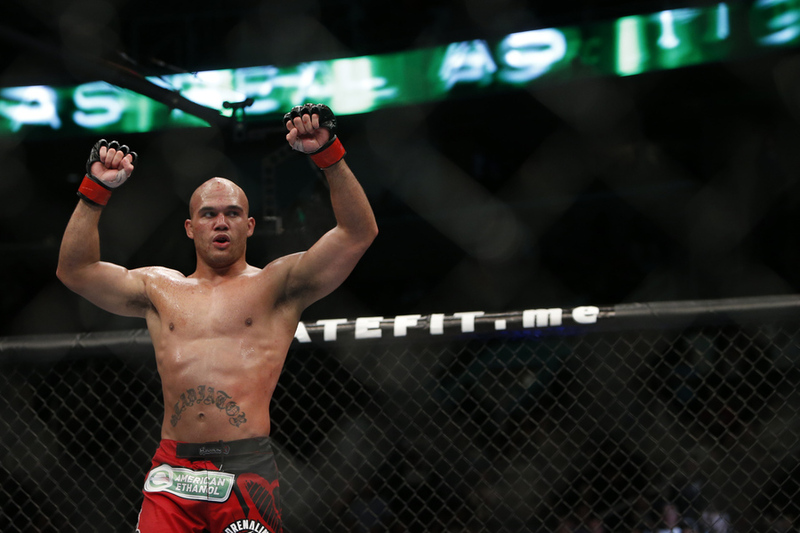 Undeterred, Lawler returned just two months later and pummeled Jake Ellenberger right out of the title conversation. After that, the “Ruthless” one took another abbreviated layoff, returning again after just two months to put an end to double-tough Matt Brown’s seven-fight winning streak and earn his spot in Saturday’s headliner. Despite his status as the betting underdog, people know better than to look past Lawler, regardless of how his first affair with Hendricks ended. 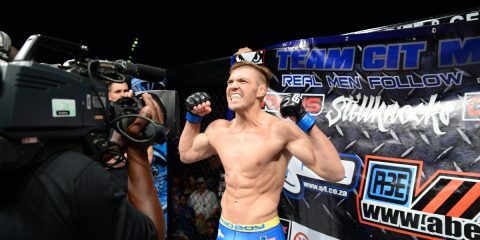 Their first battle was one of the best fights of the year, and rounds six-plus should match its intensity. It was smart of the UFC to pair its latest lightweight title fight with one of the draw that Hendricks/Lawler II will surely have. For starters, the UFC appears to have a renewed commitment to making its pay-per-view events worth the money fans will pay to watch, and including title fights from the company’s two most crowded and competitive divisions on a single card is a great way to do that. Beyond the boost that the second title fight gives the card as a whole, it will inherently draw more eyes when paired with the welterweight title fight than it would have on its own. 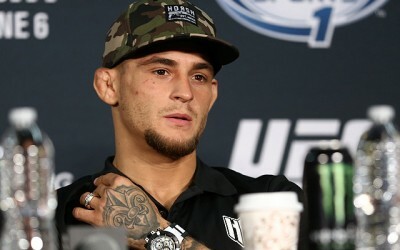 Pettis, despite being an enormously talented fighter and deserving champion, has not fought since the night he won his title back in August of last year, so he hasn’t exactly established himself as one of the UFC’s more recognizable titleholders (like Cain Velasquez, Jon Jones, Ronda Rousey). The Wheaties box helps, but I don’t think it gave Pettis the sort of name recognition that will make him a true mainstream sports star. Pettis’s opponent has also been absent from the Octagon for more than a year while waiting for his shot at Pettis’s belt. 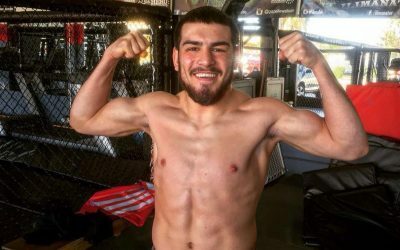 Melendez has for years been considered one of the world’s best lightweights, and his only loss since 2009 was to former champion Benson Henderson in a split decision, but he’s far from a household name. One might think that the lightweights’ participation as opposing coaches on the current season of The Ultimate Fighter would have increased interest in their title fight among more casual fans, but the focus of the season has (rightly) been on the women’s strawweight title tournament. What’s more, Pettis and Melendez seem to have established a respectful (if relatively ambivalent) attitude toward one another. We’re not seeing the sort of explosive rivalry that fueled the coaching duels in past seasons of the reality show, so the fight truly is just about the belt. That’s an important reason, but there really hasn’t been a whole lot of build for this fight. I expect its two elite participants to more than deliver in the cage, but this title contest has been correctly positioned as the night’s co-main event. In the third slot on Saturday’s pay-per-view card is a heavyweight contest between third-ranked Travis Browne and five-year veteran (and TUF 10 finalist) Brendan Schaub. Browne has twice been on the cusp of heavyweight title contention, and twice he’s lost the fight that would have brought him to that next level. 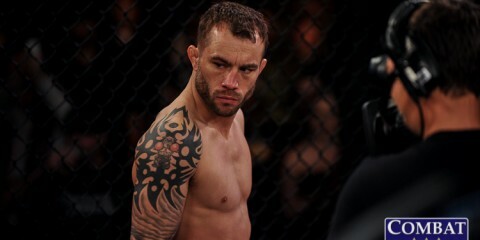 Most recently, Browne suffered a convincing decision defeat at the hands of current interim heavyweight champ Fabricio Werdum, so Saturday’s fight with Schaub represents the first step back on the path to contention. He’ll still probably need at least one additional win to even be considered for a shot, but a loss to Schaub would likely bounce him from the top portion of the rankings altogether. For Schaub, this fight probably represents his last opportunity to remain relevant at heavyweight. 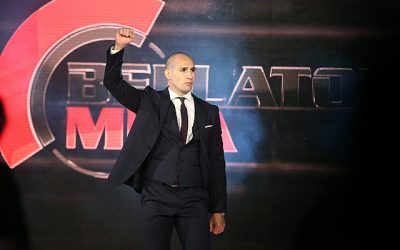 His loss to Andrei Arlovski resulted in his removal from the UFC’s rankings, and while his 6-4 overall UFC record is respectable, his signature win remains his knockout victory over a past-his-prime Mirko “Cro Cop” Filipovic. Now, if he’s able to get past Browne, he’d be right back in the mix, and would probably get a shot at another of the division’s top fighters. Lots to lose and little to gain here for Browne, and vice versa for Schaub. Expect a slugfest. Speaking of slugfests, UFC 181 will showcase the return of one of the most devastating punchers we’ve ever seen. Todd Duffee made his UFC debut having gone 5-0, with all five fights ending by knockout or TKO and four of them being stopped in the first round. He did not disappoint in his first Octagon appearance, knocking out Tim Hague in a UFC-record seven seconds. 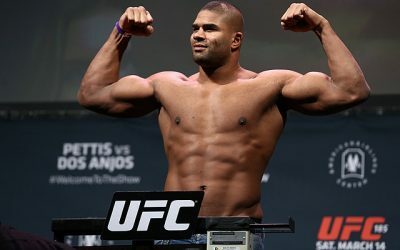 Unfortunately, the muscle-bound heavyweight’s luck would run out in his next fight, where he was knocked out by Mike Russow at UFC 114. 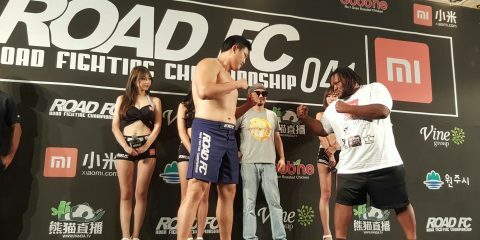 Duffee then made his way to Japan, where he briefly faced Alistair Overeem for the Dream heavyweight title before being removed from his senses in just 19 seconds. 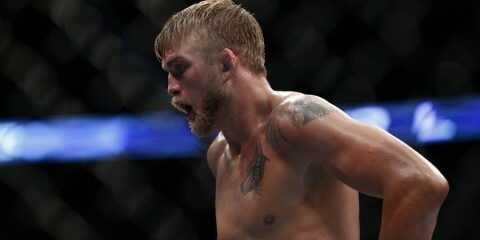 Duffee wouldn’t make his return to fighting for more than a year, but would defeat Neil Grove by TKO in less than a minute to earn another shot in the UFC. 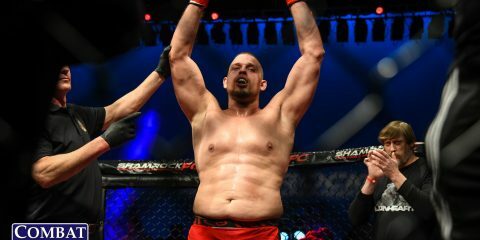 Duffee was last seen in the Octagon in December 2012, when he gave Philip De Fries the same first-round beating he had to six previous opponents. Likely because of the high probability of a finish, Duffee finds himself on the main card of UFC 181, taking on a man in Anthony Hamilton who has gone 5-1 since Duffee’s last fight. Hamilton is 13-3 overall as a pro and has only been knocked out once (while also handing out seven KO/TKOs of his own). This doesn’t mean that his chin is impervious to Duffee’s power, but I’m not counting Hamilton out just because of Duffee’s demonstrated devastation. I’d be surprised if this one went beyond one round, but it should be a good contender for Fight Most Likely to Make Fans Say “OOOOHHHHHHHH” At Some Point. Finally, we have a lightweight contest between Tony Ferguson and Abel Trujillo to kick things off on pay-per-view. Is this the most exciting fight in the world? Not really, but the two are a combined 9-2 (with one no-contest for Trujillo) in their UFC careers and both are in the midst of some short winning streaks. Ferguson has won his last three, most recently defeating Danny Castillo by decision in the co-main event of UFC 177. Despite his successes, Ferguson is probably better placed in this opening pay-per-view slot, but a win over Trujillo could earn him even greater acclaim and certainly a fight against one of the division’s ranked guys. The same is probably true for Trujillo, who would extend his UFC winning streak to three fights and would perhaps be en route back to the contenders’ conversation. Both of these guys should come to the cage hungry for a victory, and this one has the potential to be an entertaining way to start the show on Saturday. In most other scenarios I might balk somewhat at the inclusion of all three “undercard” fights on UFC 181’s pay-per-view portion. Browne/Schaub is probably acceptable due to Browne’s elite rank, but Duffee, despite his exciting history in MMA, hasn’t fought in two years and has been given a spot on a UFC pay-per-view card. The fight should be exciting, but $55 exciting? I don’t know. Ferguson/Trujillo is decent, but would be much better suited for a free card, given the relative lack of name recognition in that fight. Fortunately, these three fights are bolstered by two extremely intriguing title contests that, pretty much no matter the three fights underneath them, would almost certainly make a card worth buying. With that caveat in place, the decision is a pretty easy one. Could Bellator MMA Make a Serious Play for Former UFC Champion Brock Lesnar?